Perform the UNLOAD Command instantly and easily on your Amazon Redshift instance. 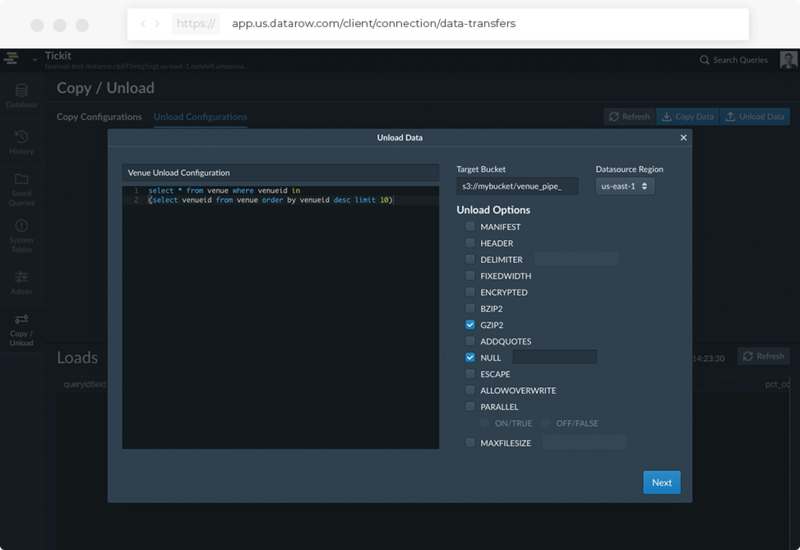 UNLOAD Command Wizard is a new way to simplify the UNLOAD command process on Amazon Redshift. With DataRow, you can easily perform this command without writing complex queries. 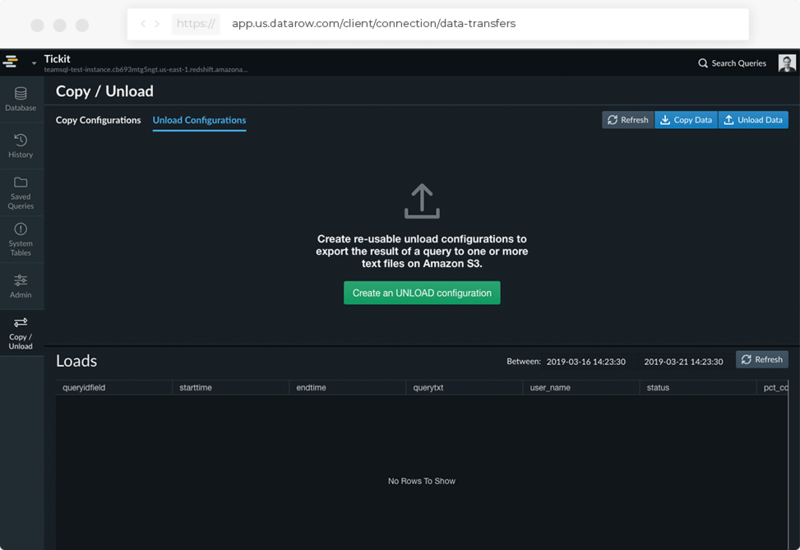 You can easily perform your UNLOAD command in seconds, and unload the result of a query to one or more text files on Amazon S3. From now on, you do not need traditional queries to perform this operation. With just a few steps you can complete your UNLOAD process without performing a query. With the UNLOAD Command Wizard, prepare your UNLOAD process in just two steps and run it right away! If you wish, save the preferences you prepared to run it later. 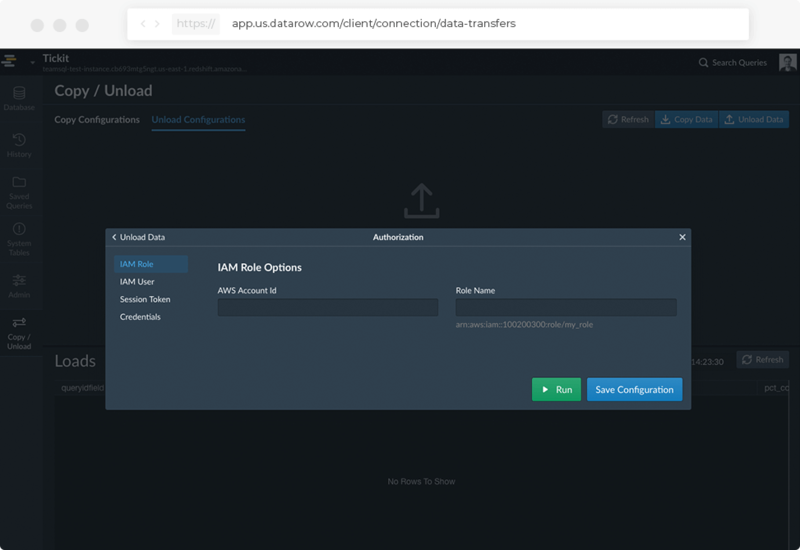 1- Enter your UNLOAD configurations including target bucket, data source region and other unload options. 2- Select the authorization type and save your configuration. You can give authorization via IAM Role, IAM User, Session Token or credentials.